Software Feature Archives - VISIONx, Inc.
VisionGauge® OnLine version 13.26 is available for download. VisionGauge® OnLine version 13.26, dated February 23rd, 2019, is available for download. We’ve included support to define many manual measurements using datums. This means the results of other manual measurements or specifically saved datums can be used during definition of other manual measurements. 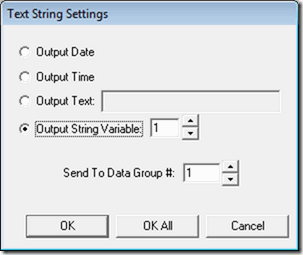 The Program Toolbox Statistics & Data Groups step has been modified to allow the user to define a directory path when saving the contents of a Data Group to file and using a String Variable as the file name. Select the “Browse” button to choose any file in the target directory, and the directory path will be used when saving the Data Group with the selected String Variable as the file name. This new tool is very easy to setup and use and is extremely accurate & repeatable. 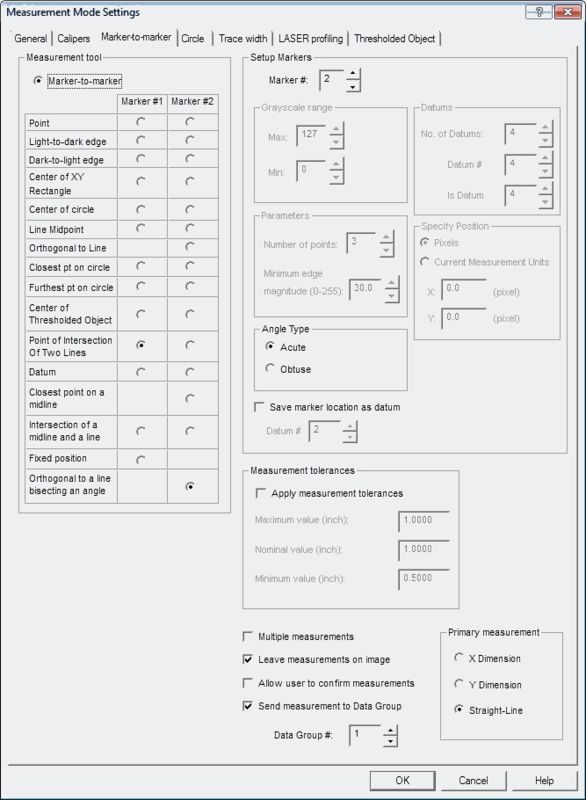 Roll Pin distance measurements can be found in the Miscellaneous tab of both the manual measurement mode and the Program Toolbox Measurement step for fully-automated measurements. 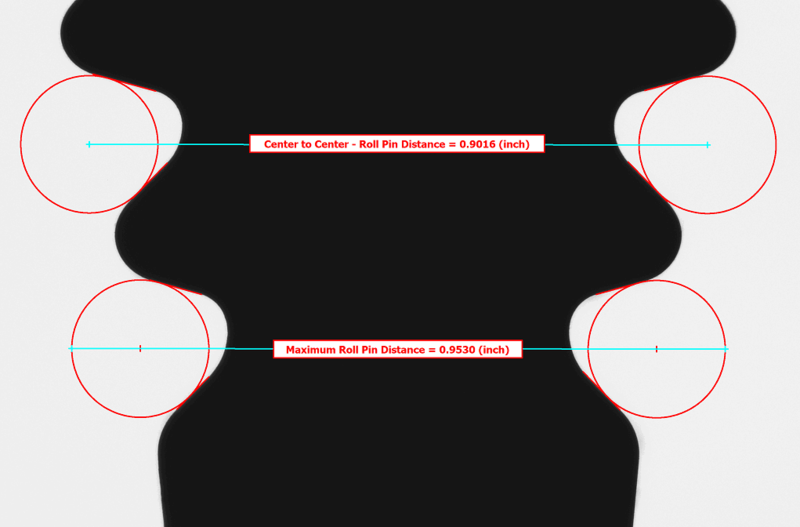 More information about the Roll Pin Distance measurement will be posted soon. We have included some DXF format radius charts in VisionGauge® OnLine’s \LiveImageOverlays\DXF sub-directory. 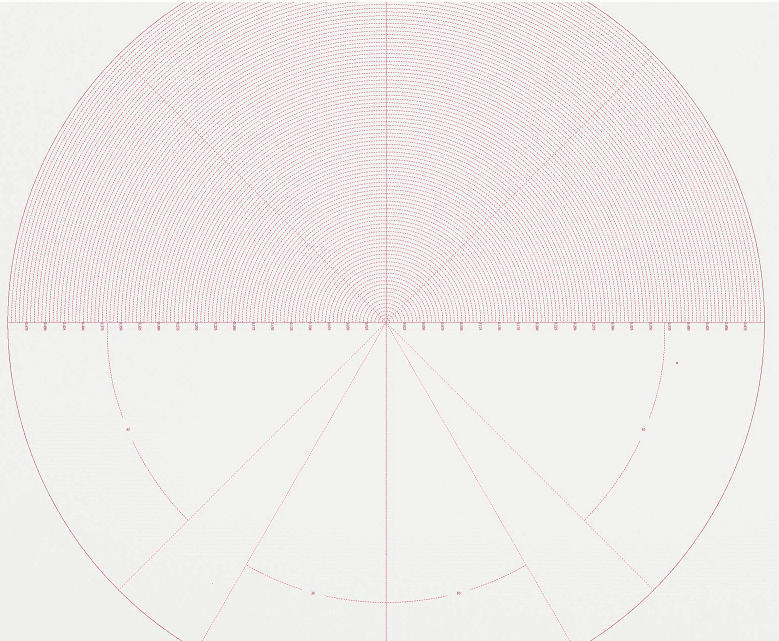 Operators of traditional optical comparators will already be very familiar these charts, and they could be very useful in certain instances with the VisionGauge® Digital Optical Comparator (for example: when inspecting short-arc radii). This update also adds password protection for several options from the Motion Control window, including the Set Zero, Set, Output, Home All buttons, the Coordinate System, Zero on Center Point, Skew menu items, and the individual axis zero buttons. 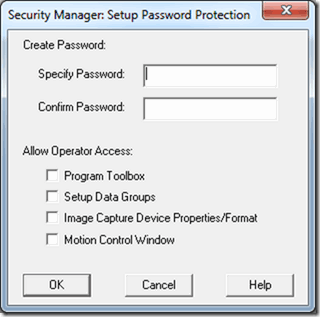 The Security Manager can allow operator access to these items in the Motion Control window if the option is checked. Otherwise the user will be prompted to enter the password when trying to access these items. We have added an option to apply 5-axis transforms and corrections to manual move operations (“Go All” moves from the Motion Control Toolbox). 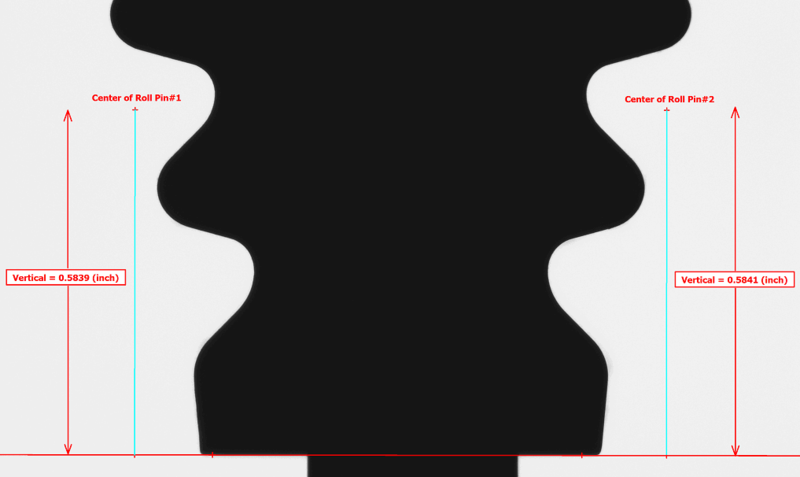 Previously, 5-axis transforms and corrections were only able to be applied during a program. This update applies exclusively to our 700-series 5-axis Inspection and Measurement Systems. These new options can be found in the “Motion Control – Settings – Transforms – 5-Axis Transform Settings” menu. 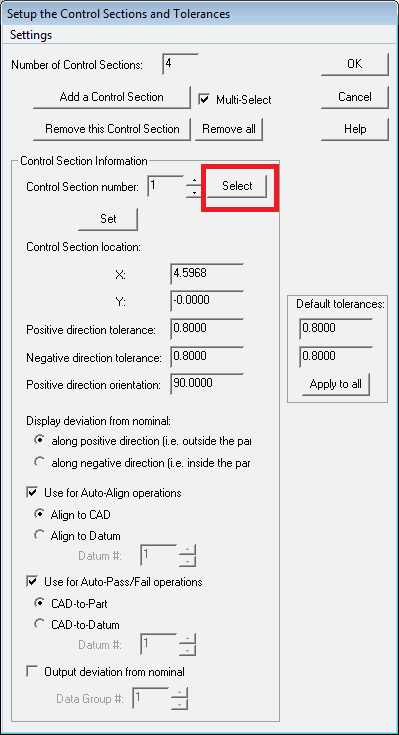 5-Axis Corrections, 5-Axis Transforms, and the Fixture Center of Rotation Offset Corrections may be applied to manual “Go All” operations by selecting the appropriate checkbox. When this option is selected, any coordinates that are entered directly into the “Go To” section of the Motion Control Toolbox will be transformed with the current corrections and transforms, and the stage will move to that transformed position. The “Current Position” / DRO in the Motion Control Toolbox will show the actual position of the encoders following the stage move (the transformed position). Please note that while the 5-Axis Tranforms “Fixture Height” and polarity settings are saved with a program and may be changed by loading different motion programs into the Program Toolbox, the option to apply these transforms and corrections to manual operations is machine dependent and saves with other VisionGauge® OnLine setting files. During the setup of Control Sections for overlays, users can now use the Select mode to choose a Control Section they would like to edit, remove, etc. Simply click Select, the using the mouse, choose the control section from the overlay. The procedure for writing ‘carryover’ settings has been modified to permit automatic correction in the case of incomplete shutdown procedures. If an incomplete shutdown procedure is detected, VisionGauge® Online will advise you and automatically try to repair the startup settings. VisionGauge® OnLine version 13.01 is available for download. VisionGauge® OnLine version 13.01, dated August 16th, 2018, is available for download. VisionGauge® OnLine has been updated with new measurement tools. We’ve added a new marker-to-marker measurement tool in both manual measurement mode and the Program Toolbox. The marker is “Orthogonal to a Line Bisecting an Angle”. 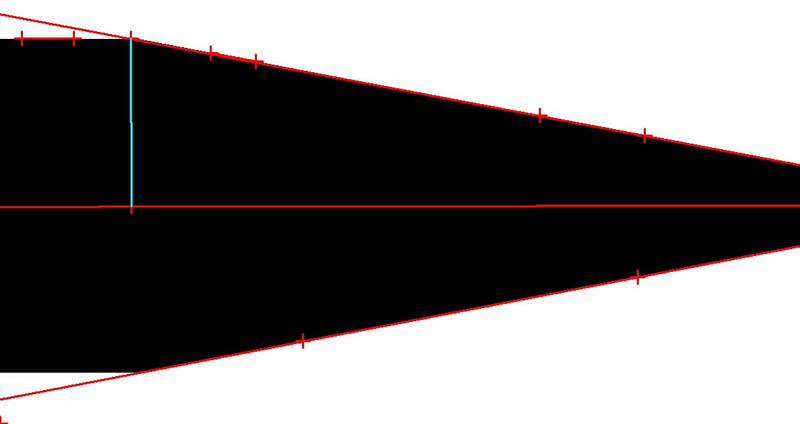 Users will need to select if the angle type they want to bisect is Actue or Obtuse. We’ve also added four new manual measurement tools in a “Miscellaneous” tab of the Manual Measurement Mode. These tools are “Parallelism”, “Perpendicularity”, “Parallelism of a Midline”, and “Perpendicularity of a Midline”. Each of these measurements are also able to be defined using previously saved datums. And we’ve made a few changes to the Program Toolbox – Measurement user interface with regards to datums. When selecting datums, the edit boxes are now editable. This will be particularly useful for setting up measurements with large numbers of datums. The VisionGauge® Digital Optical Comparator’s ground-breaking CAD Auto-Align™ tool automatically aligns the CAD data to the part. The CAD Auto-Align™ tool is very fast (it typically takes a second or two at most) and it produces repeatable and accurate results that are completely operator-independent! 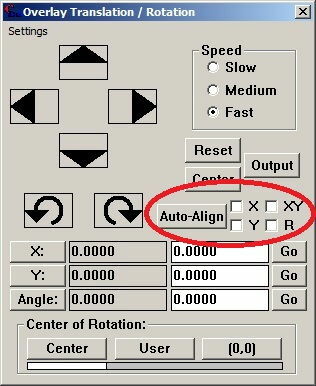 Checking the “XY” checkbox next to the Auto-Align button tells the Auto-Align tool to only carry out X,Y alignment, and to leave the CAD overlay’s orientation unchanged. This is especially useful when adapted fixturing already ensures that the part is properly oriented relative to the CAD overlay. and then to go to the other extremity of the part and carry out a rotation-only alignment (and thus not translating anything in the previous field-of-view). This is a very efficient and accurate way to align a CAD file to a very large part. When the “XY” and “R” checkboxes are both unchecked then the Auto-Align tool carries out full X, Y and rotation alignment of the CAD overlay to the part. 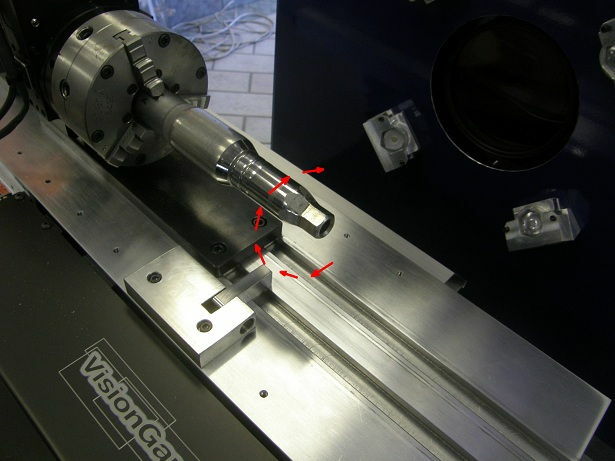 The VisionGauge® Digital Optical Comparator’s powerful Auto-Align tool allows you to drastically reduce inspection times and obtain increased accuracy. It can line the CAD drawing up to the part along one or multiple datums, or it can do a “best fit” alignment. You can easily apply it to meet the requirements of your specific application! The operator loads the part in the fixture and scans the barcode on the traveller. In the case of parts that are larger than the system’s optical field-of-view, the stage moves the part and carries out the Auto Pass/Fail inspection at however many different locations are required. 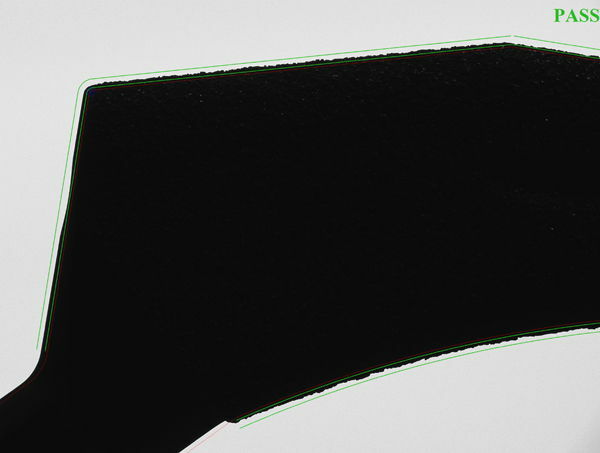 This way, the whole part gets inspected without having to “shift the overlay”. The CAD data tracks the part’s movement! 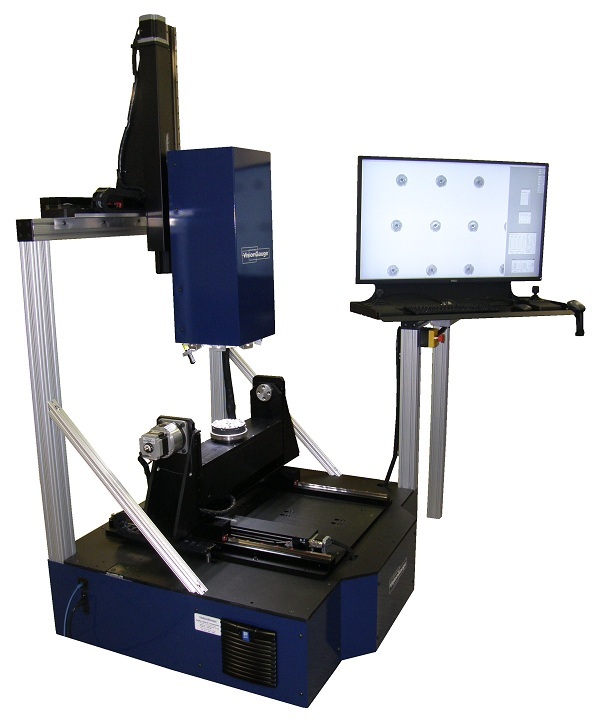 With the CAD Auto-Align™ and CAD Auto Pass/Fail™ tools, the VisionGauge® Digital Optical Comparator is truly revolutioninzing how parts are inspected, quickly and accurately, directly on the shop floor! 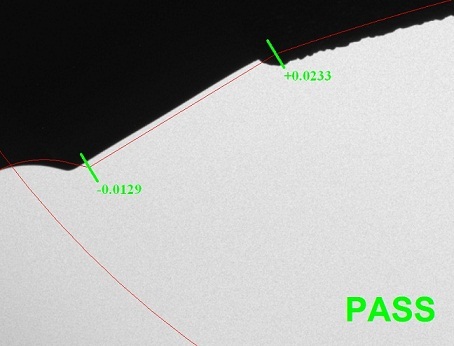 The VisionGauge® Digital Optical Comparator’s patented CAD Auto Pass/Fail™ tool allows you to automatically determine, very accurately and in real-time, if a part is within tolerance. The CAD Auto Pass/Fail™ tool can be either point-based or it can consider complete geometric entities. 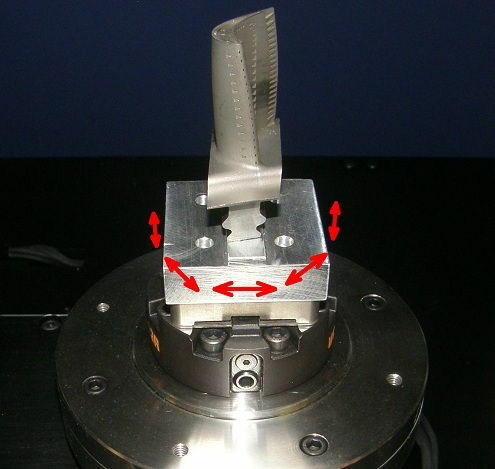 In point-based mode, the part’s deviation from nominal is evaluated at precise user-specified cross-sections to verify that the part is within tolerance at all of these locations. And the geometry-based CAD Auto Pass/Fail™ tool verifies that the part is within tolerance over complete geometric entities. 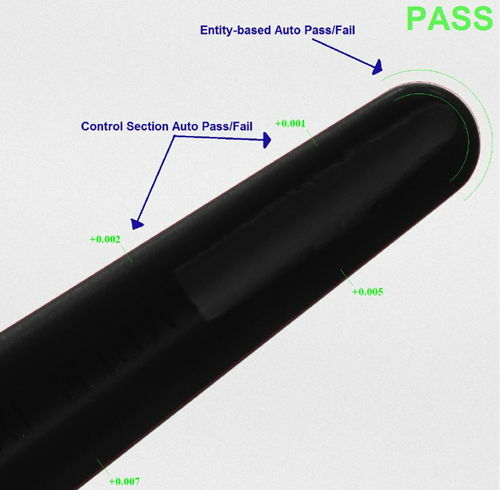 Note that the control-section-based and geometry-based CAD Auto Pass/Fail™ tools can be used simultaneously on the same part! With the VisionGauge® Digital Optical Comparator you can specify bi-directional tolerances at various control sections. The system then automatically computes and displays, in real time, the part's deviation from nominal at every control section and automatically displays a pass / fail result at every control section as well as for the overall part. Also, note that there are no restrictions on the tolerance values. So tolerances can be either the standard “plus/minus” tolerances, as well as “minus/minus” or “plus/plus” tolerances.